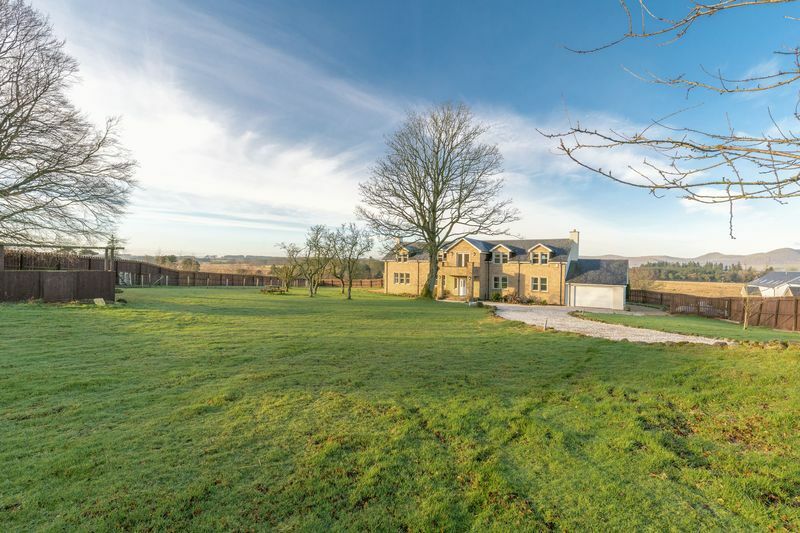 A stunning detached house located in a semi-rural location with attractive countryside views over the Pentland Hills and excellent commuter links to Edinburgh. 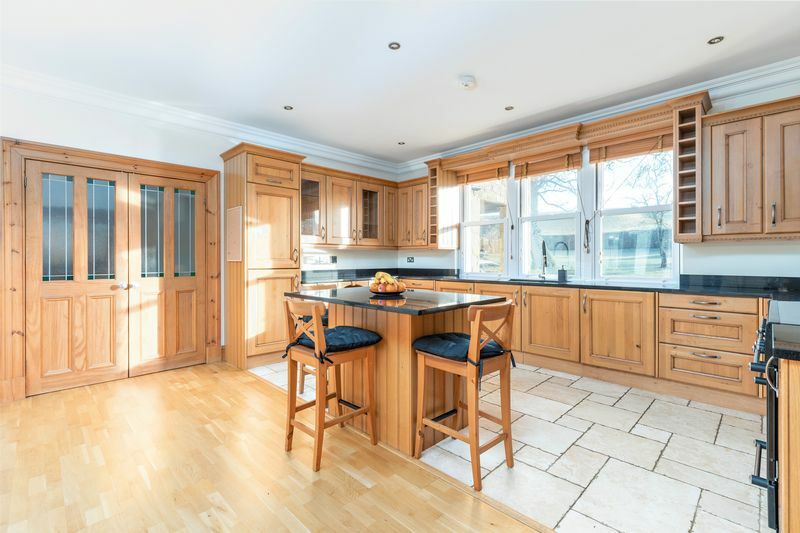 Built in 2008 and tastefully constructed using high quality materials, this substantial contemporary house offers spacious and flexible living space totalling some 4,416 square feet, with five comfortable public rooms and six relaxing bedrooms. 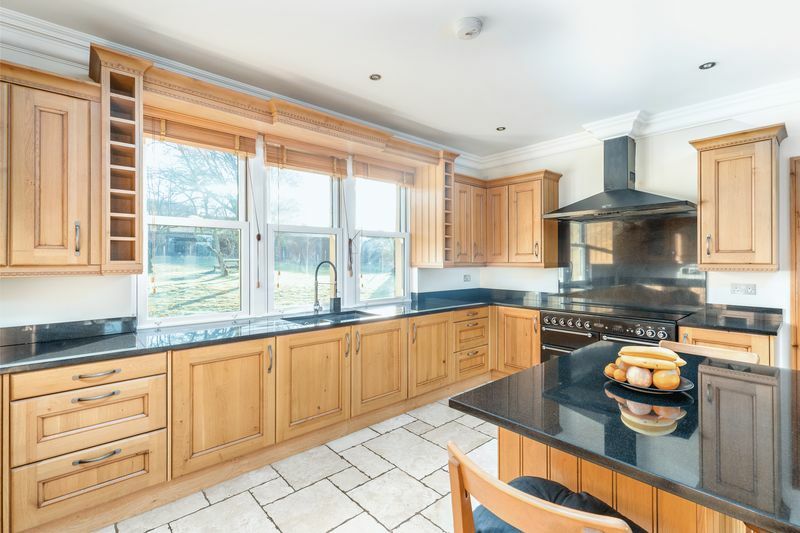 Benefitting from large private gardens (circa one acre), with a sweeping gravelled driveway, and a double garage, this beautiful home is ideal for modern family living and entertaining. 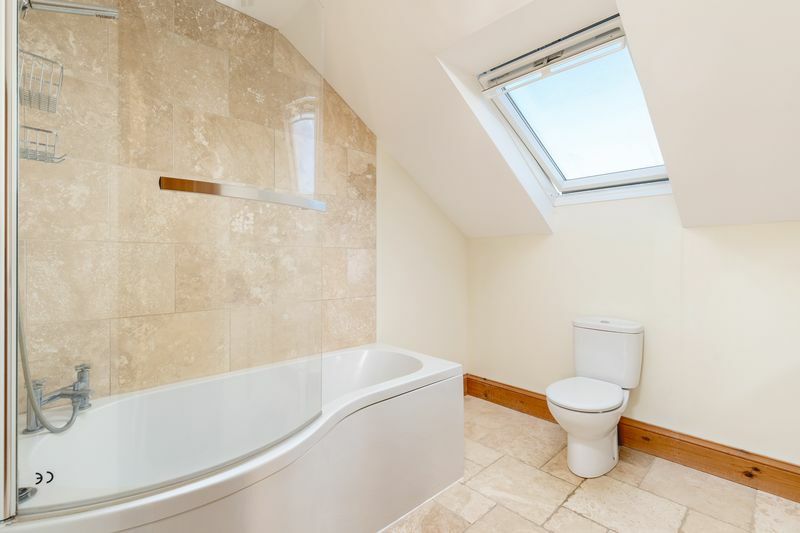 This house is sure to appeal to many buyers and early viewing is highly recommended. 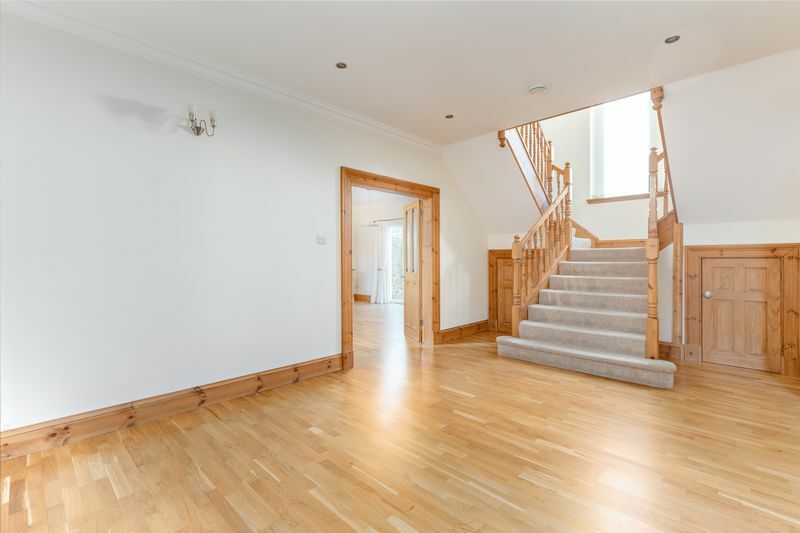 Internally, the house is finished to a very high standard and is immaculately presented throughout. The well-designed, generously sized rooms, benefit from plentiful natural light and offer superb countryside views. 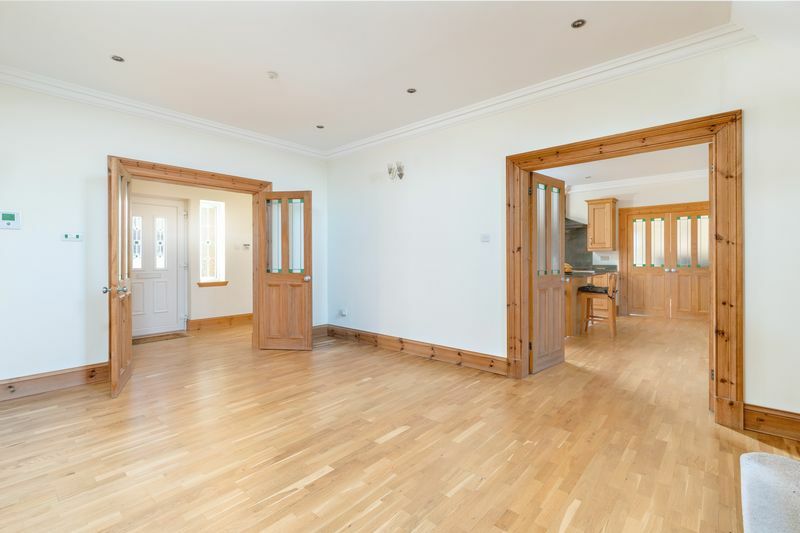 The striking internal accommodation, which is set over two floors, comprises: accessed via an entrance vestibule, leading to an impressive hallway with two storage cupboards and attractive wooden staircase to the upper level. 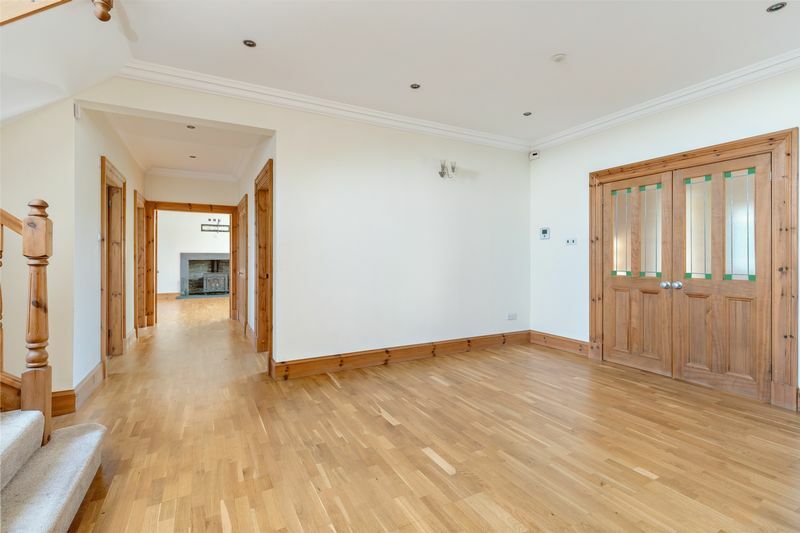 On the ground floor, the house benefits from well-proportioned bright dual aspect accommodation. 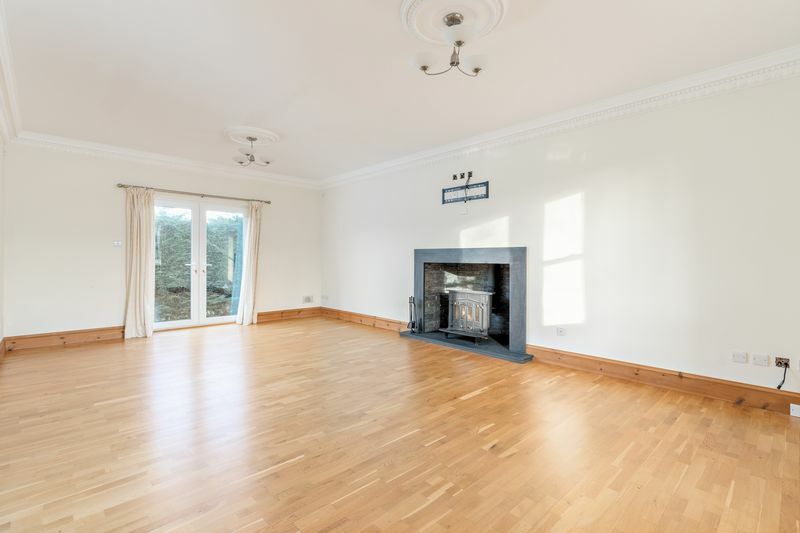 At one side of the house is the comfortable sitting room which has a wooden floor, an attractive open fireplace with multifuel stove and French doors to the rear garden. 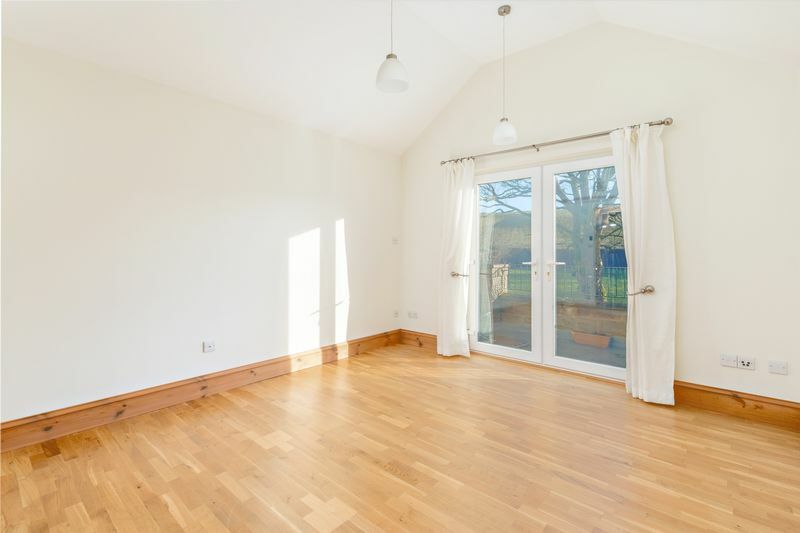 At the other side is the family room, again featuring wooden floors and a multifuel stove, plus French doors leading out to an attractive patio area. 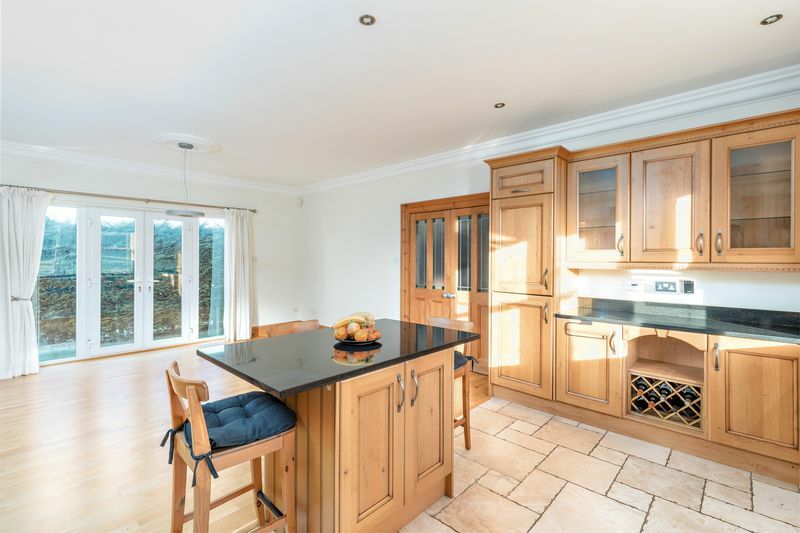 At the heart of the house is the beautifully appointed dining kitchen, fitted with a range of high-quality wall and base units, granite surfaces, centrepiece breakfast island, and integrated appliances including a gas range cooker and oven, electric cooker hood and a dishwasher. 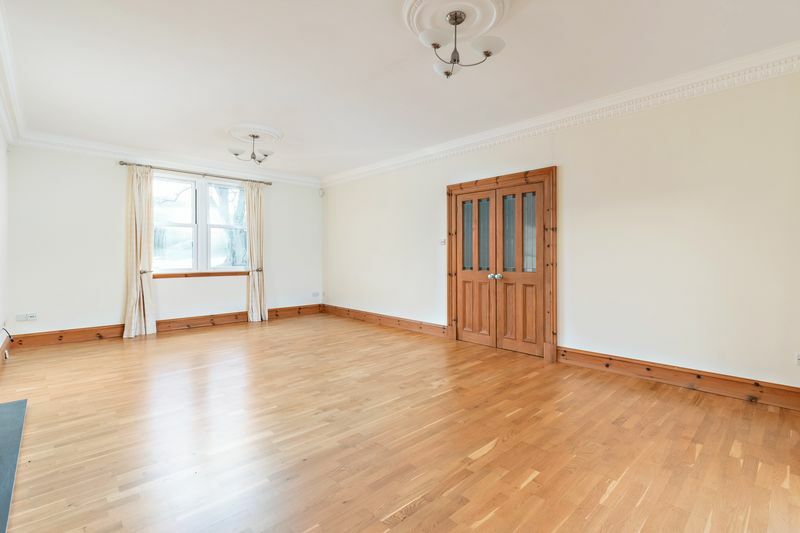 There is ample room for a large dining table and chairs, there are also French doors which afford access to the rear garden. 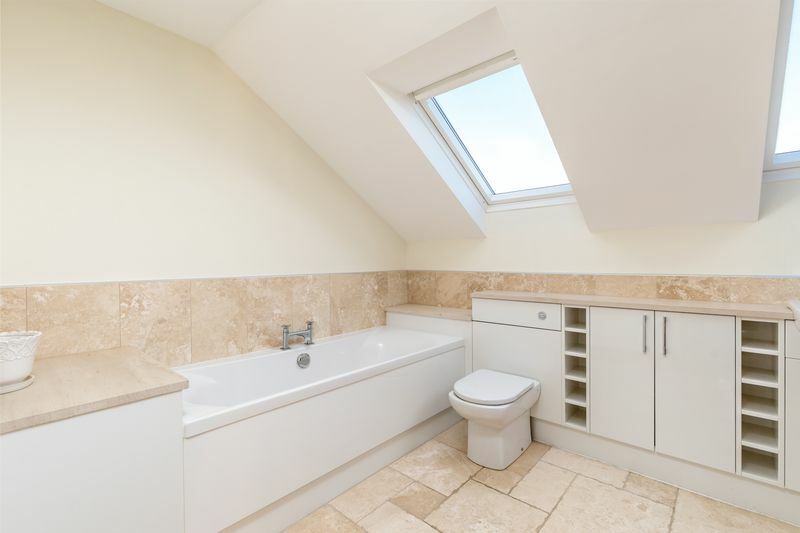 Also, on this level is a useful study with a window overlooking the front of the house and a utility room with cupboard, sink, and space for a washing machine and a tumble dryer, plus a convenient external door out to the rear garden. 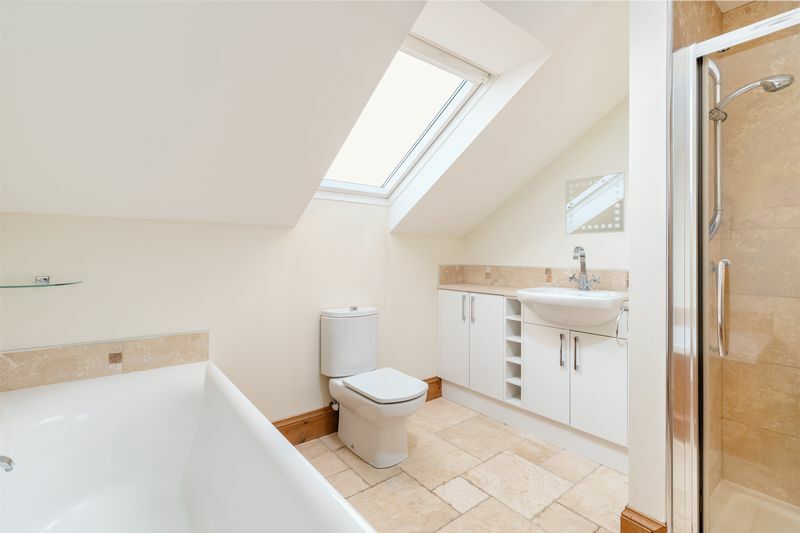 The ground floor is completed with a useful shower room and WC. 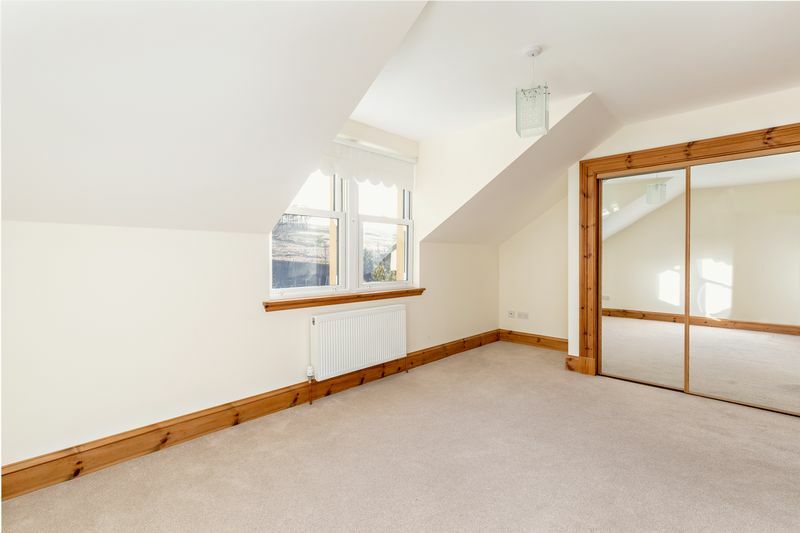 The first floor is reached via an attractive split-level staircase, leading to a bright hallway landing with two storage cupboards, and affording access to the properties five well-appointed bedrooms. 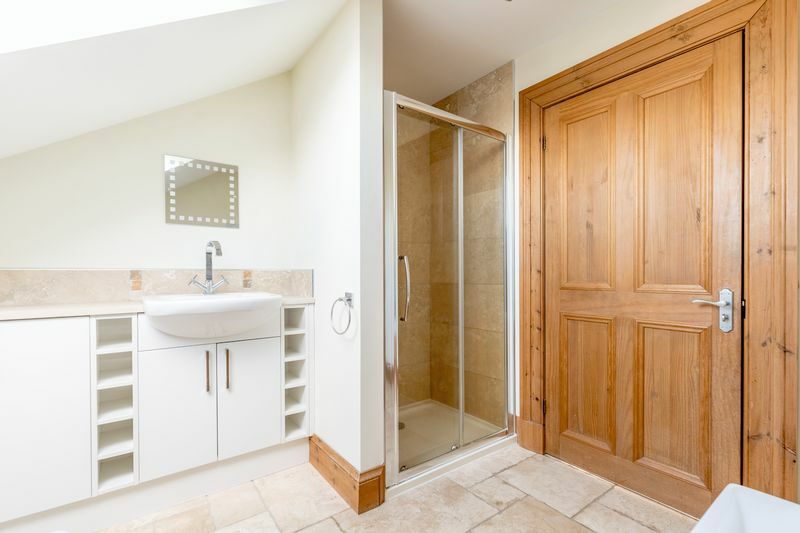 At one side of the house is the spacious master suite, featuring a dressing room with fitted wardrobes, and a well-appointed en-suite bathroom including a bath and a separate shower cubicle. 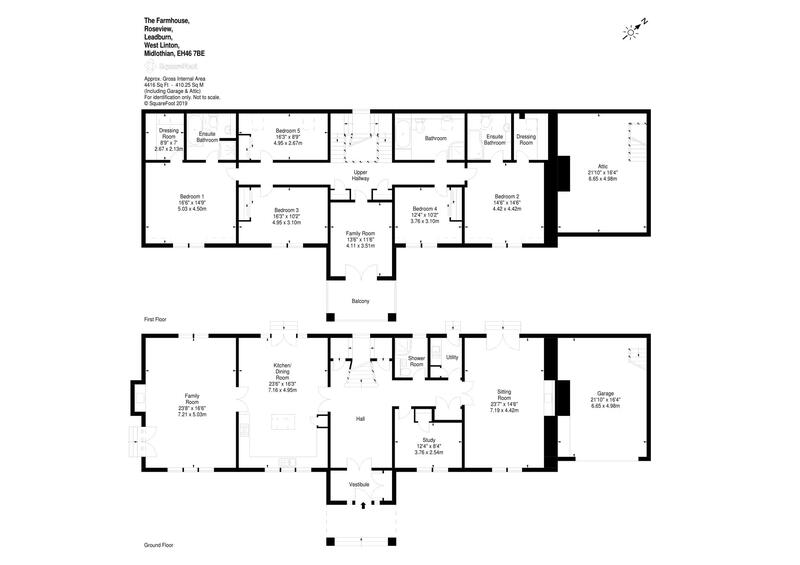 There is also a generous guest suite, with a very similar layout, again featuring a dressing room with fitted wardrobes and an en-suite bathroom with shower over bath. 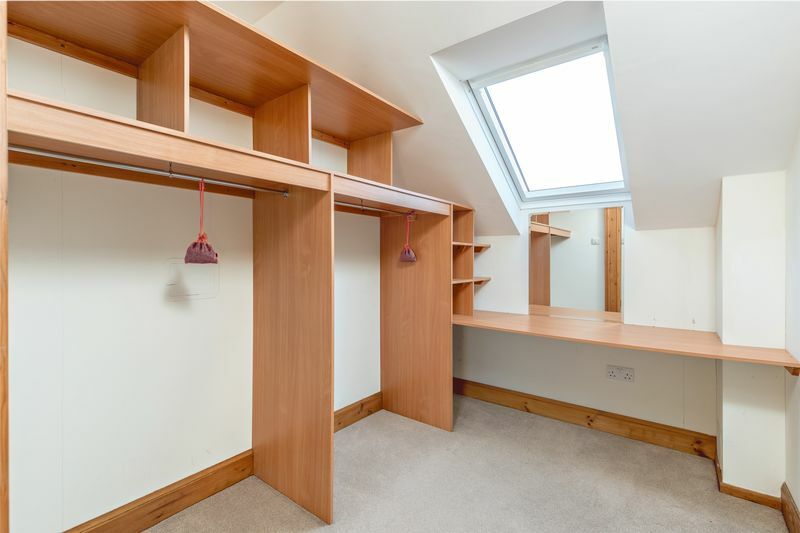 There are three further generous double bedrooms all with fitted wardrobes. 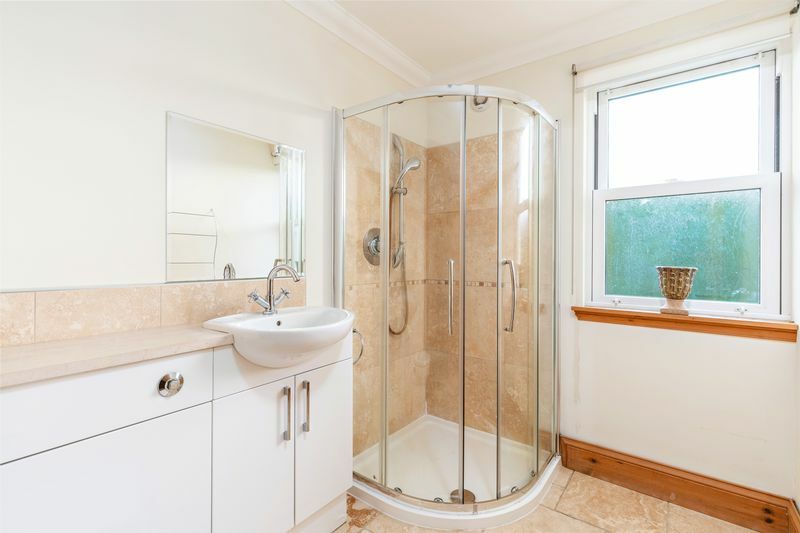 These are served by a large family bathroom featuring a bath and separate shower cubicle. 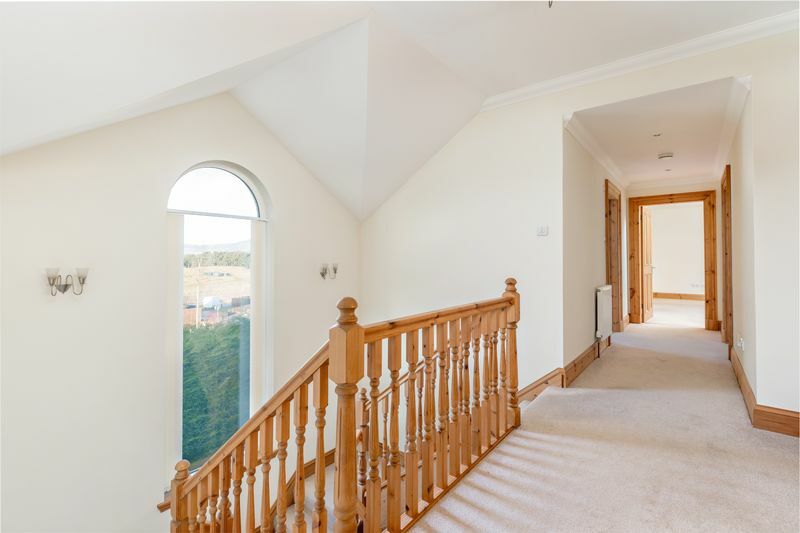 Completing the accommodation on this level is the super TV/Music room which has a south east facing balcony overlooking the front, affording lovely countryside views. 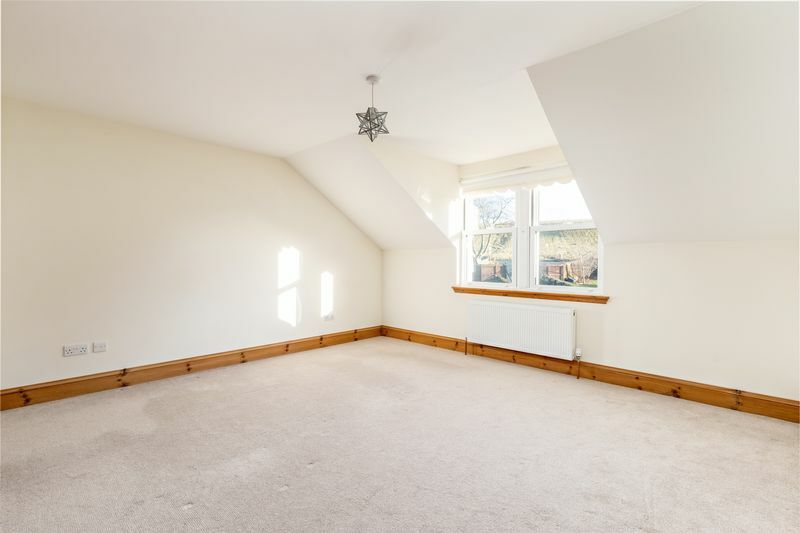 This could be used as a very spacious sixth bedroom if required. 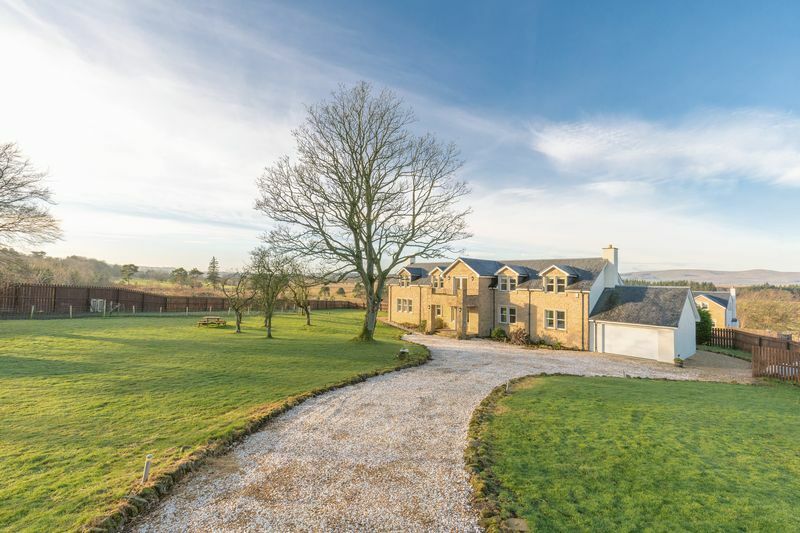 Externally, the house has an impressive approach, accessed via secure entry iron gates and a gravel driveway leading to a generous parking area with space for several vehicles and the attached double garage. The large garage which has been partially lined benefits from having power and light and has a metal up and over door. 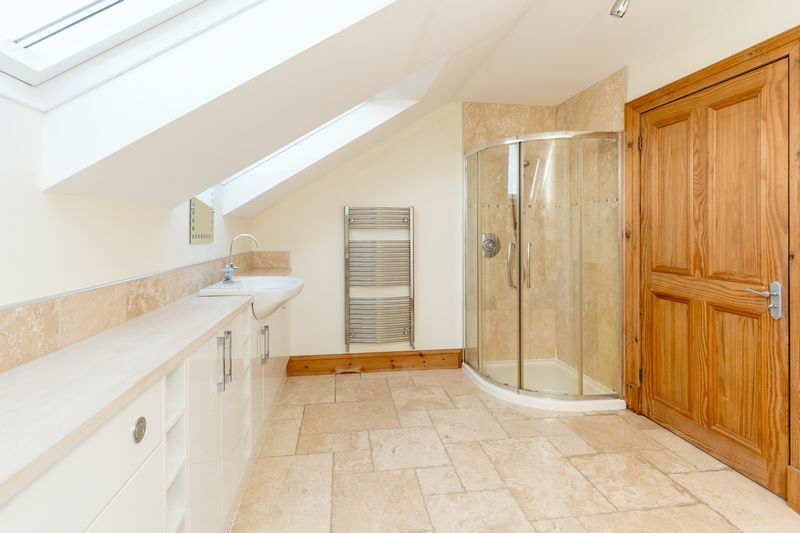 Additionally, the garage also boasts ample floored attic storage space. There are lovely gardens to the front, rear and side of the house. 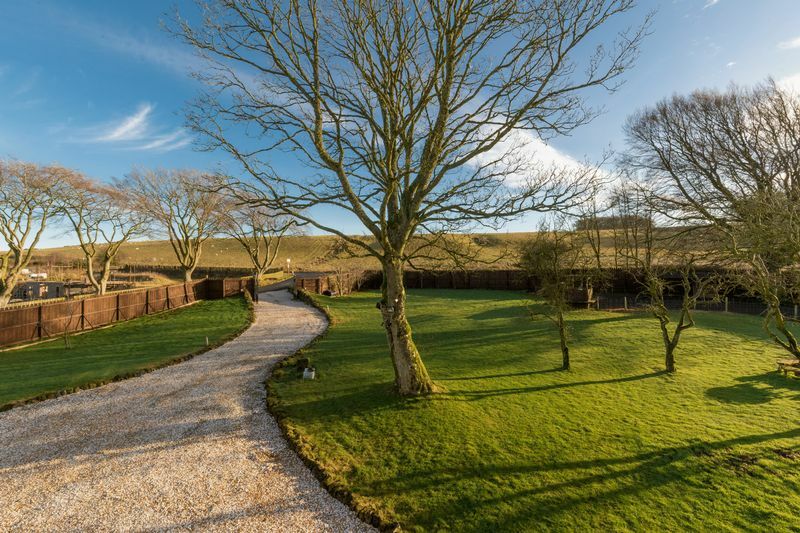 Laid mainly to lawn, the gardens also feature a selection of trees and shrubs and are enclosed by timber fencing. There is an attractive patio area to the side of the house, perfect for taking the air and enjoying alfresco dining. 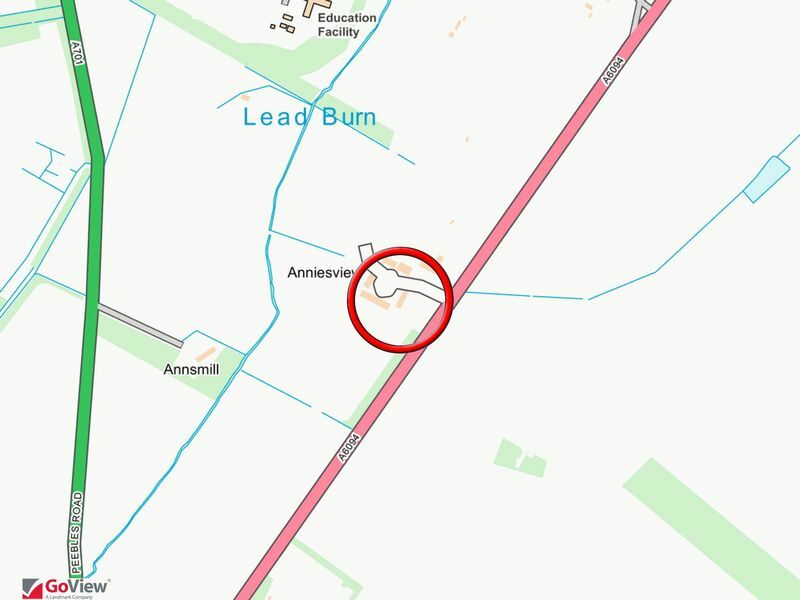 The hamlet of Leadburn is located approximately thirteen miles south of Edinburgh at the gateway to the Scottish Borders. 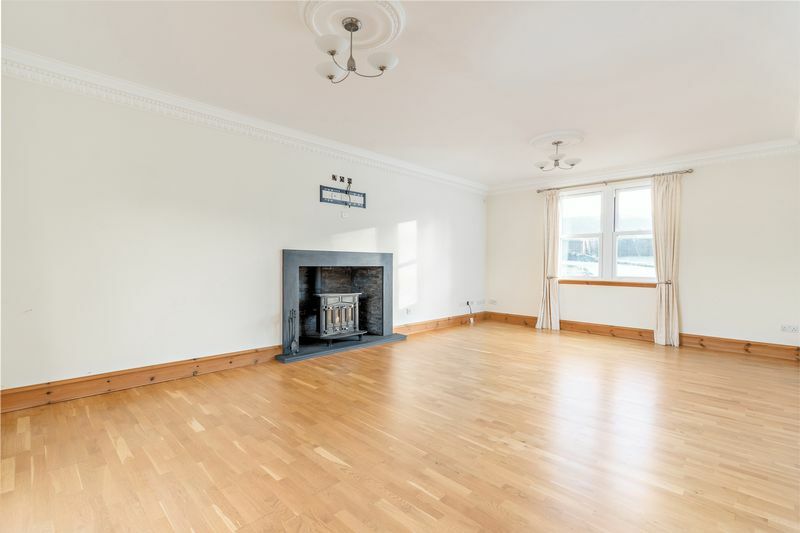 The nearby towns of Penicuik and Peebles provide a good selection of local services including shops, health centres, banks, post offices, restaurants and leisure facilities. Local schools, both primary and secondary, are available in Penicuik. 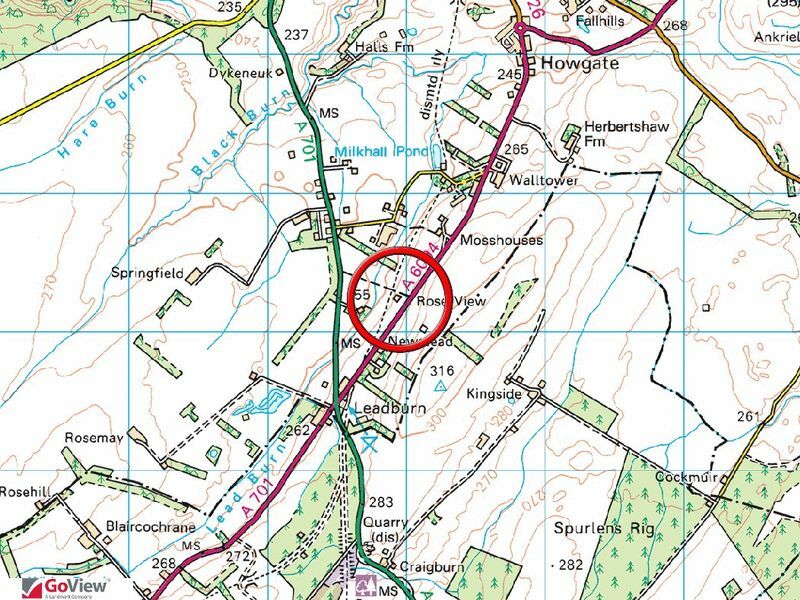 There is a regular bus service to Edinburgh available on the nearby A701. Other nearby facilities can be found at the retail park in Straiton, which includes a Marks and Spencer, Sainsburys and Asda supermarkets. 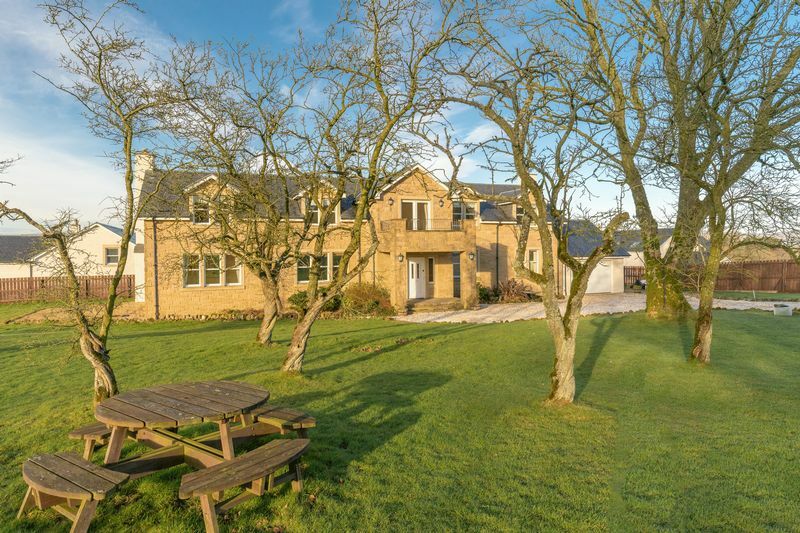 The local area provides an abundance of country sports including hill walking and mountain biking in the Pentlands and Glentress, salmon fishing on the River Tweed, shooting and a good selection of golf courses nearby. 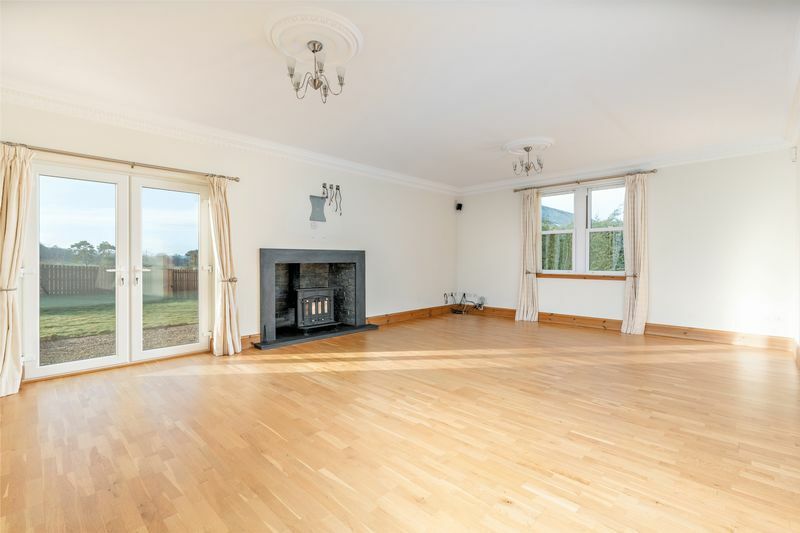 The house offers good access to the M74, and M6 and motorways south, and to both Edinburgh City Centre and Edinburgh Airport which are approximately thirty minutes away by car. Private water supply and drainage. Mains electricity. LPG central heating (underfloor on ground level). PVC double glazed sash and casement windows and timber double glazed Velux windows. Telephone and broadband connection. Viewing is available 7 days a week strictly by appointment by calling JBM Estate Agents on 01721 540170. Telephone lines are open 7 days a week, from 8am to 6pm Monday to Friday and 9am to 1pm Saturday and Sunday. 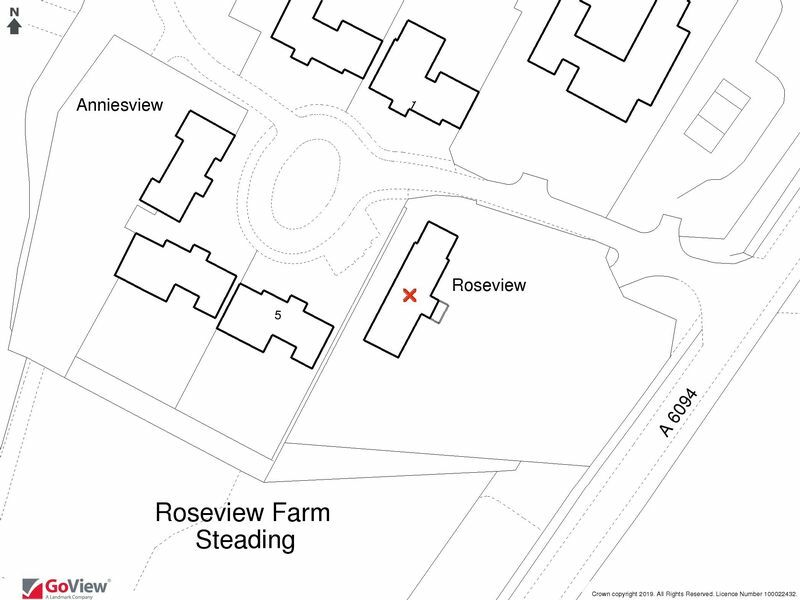 A Home Report incorporating a Single Survey, Energy Performance Certificate and Property Questionnaire is available for parties genuinely interested in this property. Please contact us to request a copy. 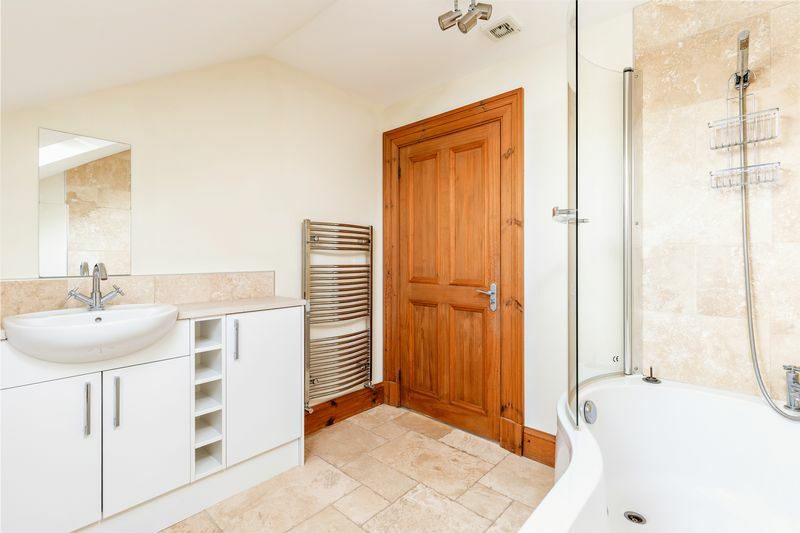 The Energy Efficiency Rating for this property is D (68) with potential B (81). 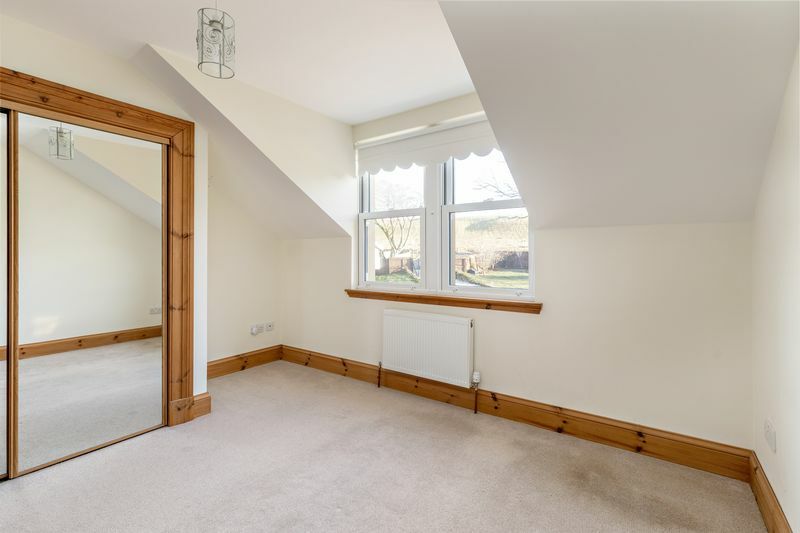 All curtains, blinds, light fittings and fitted carpets throughout the house will be included with the sale. 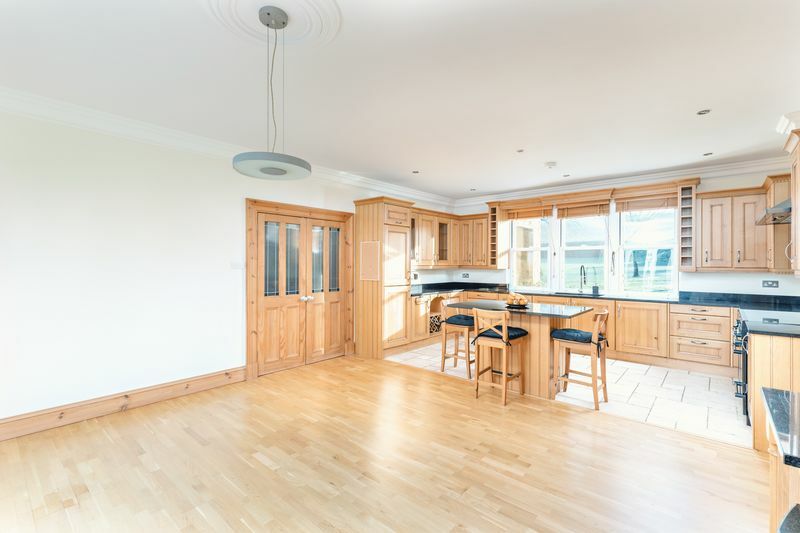 All integrated appliances within the kitchen and the tumble dryer in the utility room will also be included. A closing date may be fixed. 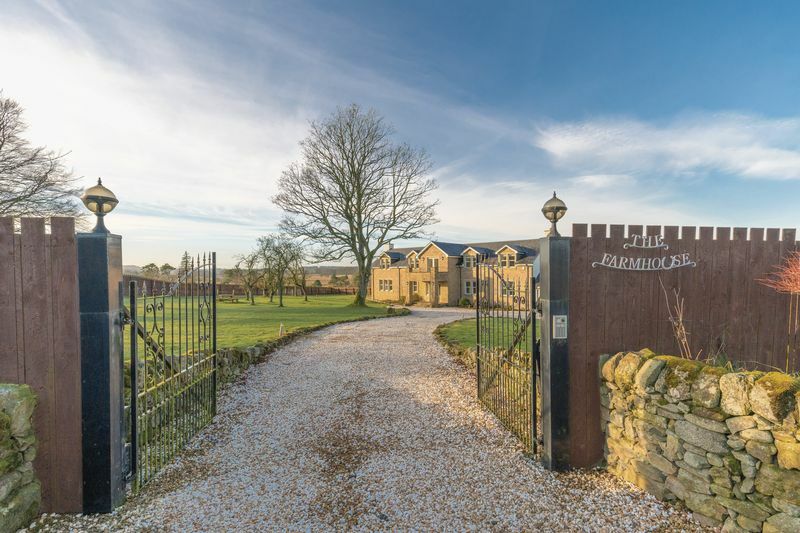 Prospective purchasers who have notified their interest through lawyers to JBM Estate Agents, in writing, will be advised of a closing date, unless the property has been sold previously. Formal offers should be submitted to the Selling Agents in Scottish legal form: JBM Estate Agents, 10 Northgate, Peebles, EH45 8RS. Telephone: 01721 540170, Fax 01721 520104. The seller reserves the right to sell at any time and interested parties will be expected to provide the Selling Agents with advice on the source of funds with suitable confirmation of their ability to finance the purchase. 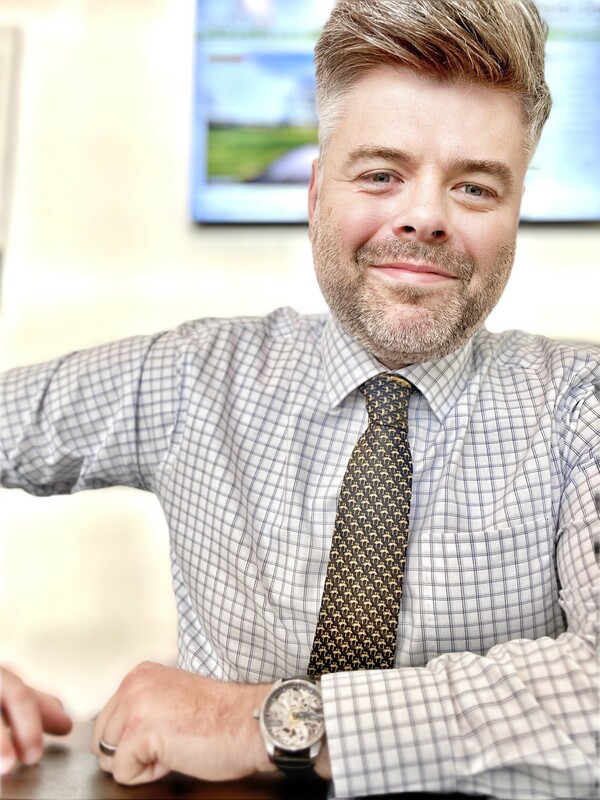 Viewers should be advised that even after an acceptable written offer has been received, in the event of any unreasonable delay by the purchaser in concluding missives, the Selling Agents reserve the right to resume viewings. As with all Estate Agents, JBM Estate Agents is subject to the Money Laundering Regulations 2017. The regulations require us, the Selling Agents, to perform various checks on the property buyer and in order to comply with the necessary regulations, any offer presented to us must be accompanied with certified photographic evidence of the buyer’s identity and separate certified evidence of the buyer’s residential address before any acceptance of the offer can be confirmed. Alternatively, if certified documentation is not available, the buyer must attend at our office with their original documents. 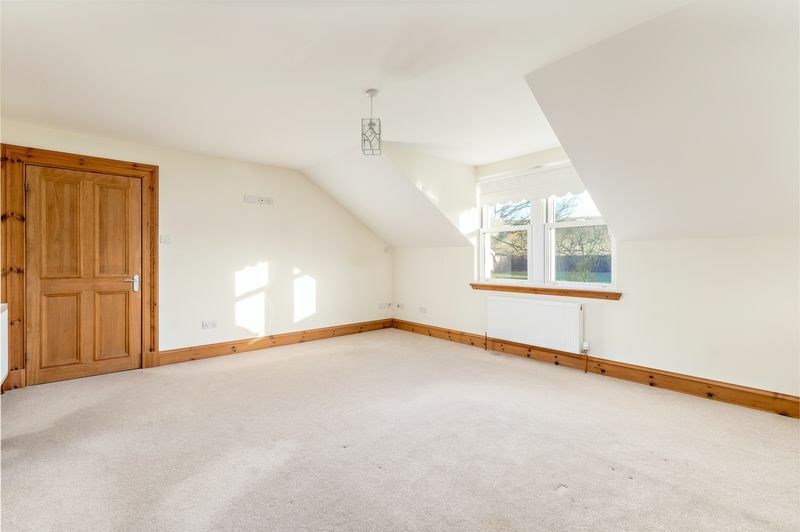 Please note, until satisfactory documents have been provided and our checks have been fully completed, we are unable to mark the property as “under offer”. You should also be aware that we are required by law to report to government authorities any evidence or suspicion regarding money laundering and that we are explicitly prohibited from notifying you of the fact that any such report has been made. © JBM Estate Agents. All rights reserved.